10% off 1, 2 or 3 day Madarao passes in March. For current SRA members who book before the end of December, contact your SRA administrator to receive your discount code, before contacting Hakken directly on hakken.booking@beactive.life for your customised pre-xmas MadaPOW deal! Japan is one of the hottest skiing tickets in the world right now, and why wouldn’t it be? It’s got great culture, delicious food, friendly people and colossal amounts of the lightest and driest snow found anywhere in the world. 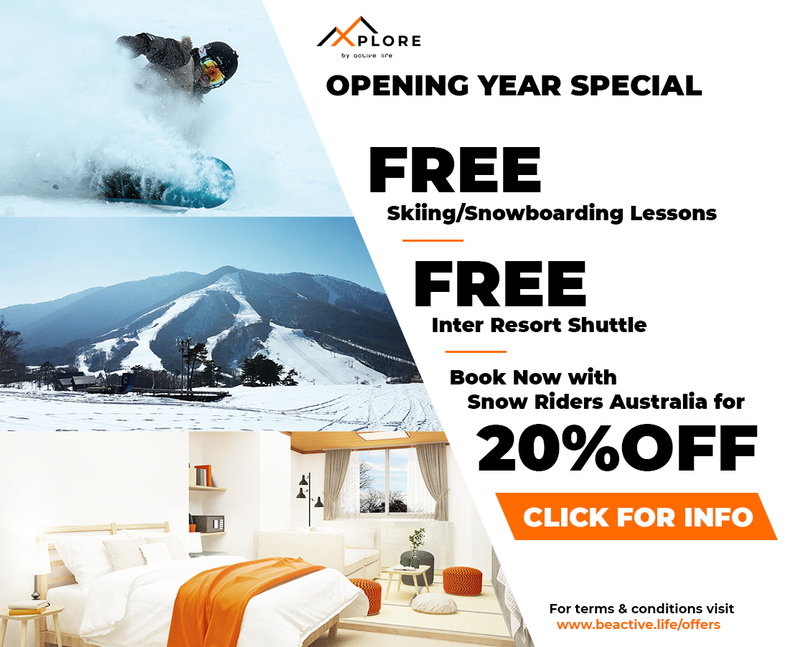 Japan’s snow quality, reliability and proximity to Australia is why more and more Aussies are turning to Japan as an alternative and very affordable destination to more traditional haunts of Europe and North America. Ask the average snow-going Aussie why Japan(? ), and they respond ‘snow quantity and snow quality’, every time. Japan is a veritable snow machine which every year produces some 12 to 18 m of snow, with most falling on the western mountain ranges of Honshu and the northern Island of Hokkaido. It’s no coincidence that Sapporo, Hokkaido’s biggest city holds the title as the 2nd snowiest city in the world. The Japanese snow machine exists due to a special combination of climate and prevailing weather conditions, which every year combine to create the ‘perfect storm’ scenario. Without getting too technical, Japan’s snow results when the frigid Siberian winds blow across the warm Japanese Sea, sucking up moisture as they go. This results in the formation of moisture laden clouds which inevitably collide with the western Japanese coastline, producing snow – and lots of it. The real kicker is not just the temperature differential between the atmosphere and the sea, but the ‘baffling’ effect which results when the clouds ‘bunch up’ over the mountains before rising and cooling under the ‘orographic effect’. It is these conditions which create the perfect storm scenario, producing whopping amounts of dry powder snow. In simple terms, the mountains which run north to south down the centre of Honshu and Hokkaido act like super absorbent sponges, squeezing out every last drop of moisture from the clouds that stream in from the north-west (Grasshopper, 2017). While this explains the volume of snow it does nothing to explain the dry qualities of the Japanese snow. ‘Dryness’ is about the snow’s moisture content; under warmer conditions, snow flakes cannot freeze entirely, meaning some of the flake’s structure is icy, while the rest is watery (with an average ratio of water to ice of 1:10). Dry snow forms under very cold conditions. Snow forming under these conditions has more air pockets (and is thus lighter) and a water to ice ratio as high as 1:30. The more air pockets it has, the lighter and drier it is. Dry snow is more prevalent in Japan owing to the freezing winds which blast down from the northwest. Moisture absorbed form the Sea of Japan is picked up and tossed around in the ‘troposphere‘ where it is super-cooled. It then floats gently back down to earth, generally landing in or near one of the Japan’s 600 odd ski areas. This year promises to be no different in Japan. With the El Nino Southern Oscillation (ENSO) in a neutral set up, and only a slight chance of a La Nina event, the Japanese season is looking spot on about average, or slightly above average (depending on the arrival of our lady-friend La Nina). It’s all a bit crystal ball at this stage but at the end of the day a bad season in Japan is better than a good season is most other parts of the world! If you’ve never been to Japan, or have been contemplating a Japanese ski/snowboard holiday, we urge you to bite the bullet. One thing’s for sure, the snow quality in Japan is one thing you won’t need to worry about. Images courtesy Madarao Resort, Japan. 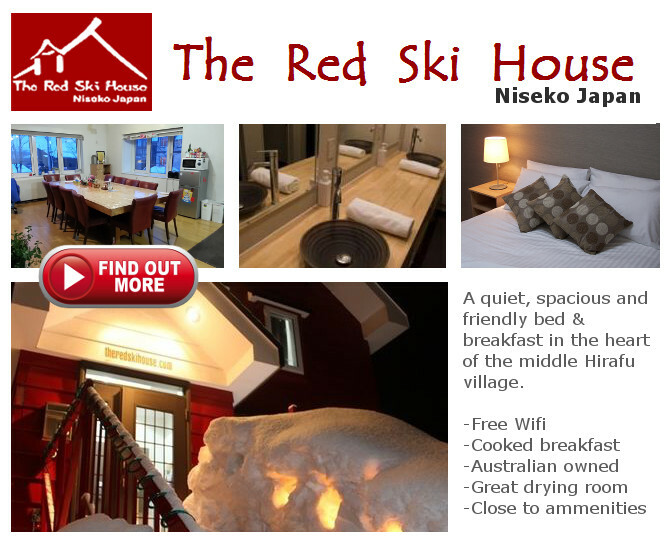 Subscribers to Snowriders Australia receive special discounts at Madarao, Japan. PM us for details.